Guy Laliberté announced the €1 million Big One for One Drop as an invitational for rec players only. The Big One for One Drop is coming back as a part of a five-day high-stakes cash game and tournament festival for affluent recreational poker players aimed at raising money for sustainable access to safe water around the world. The Monte-Carlo One Drop Extravaganza will be held at the Casino de Monte-Carlo in Monaco from October 13-17, 2016, headlined by The Big One for One Drop Invitational, a €1,000,000 buy-in, three-day, by-invitation-only tournament for businessmen, philanthropic, and celebrity recreational players. In an exclusive interview with PokerNews, businessman, poker enthusiast, Cirque du Soleil and One Drop founder Guy Laliberté said professional poker players will be welcome at the event, just not to play. "The truth is that when we reflected back on the first two million dollar One Drop events and talked to potential players for this one, we realized we had to do something different," Laliberté said. "The first One Drop was about a 50-50 ratio of pros to recreational players. The second one had even more professionals, with some of the business people and recreational players staking pros because they thought it would give them a better chance. We wanted to change that dynamic, and after talking with several of the more recreational players, we found they were less interested in playing in a more pro heavy and difficult field. "Our priority is of course to raise as much money as we can for One Drop. That's the number one goal, but we also want to create a fun and comfortable poker environment for recreational players where they are not under the threat of being bled out by the pros." We also want to create a fun and comfortable poker environment for recreational players where they are not under the threat of being bled out by the pros. Laliberté said professional poker players will be welcome at the event to network and play in cash games and side events providing no one objects to their presence. Pros can also act as coaches for players in the €1,000,000 Big One for One Drop Invitational, what will be the biggest buy-in tournament in history, if they are invited to do so. "The message I got was these recreational players, businessmen and philanthropists felt like they physically did not stand a chance," Laliberté said. "They wanted to play for the money and the fun of it, but they would rather stake a pro than risk playing themselves against a field of professionals. That forced me to rethink the entire event. “We decided to create a more comfortable experience for these recreational players, and we've talked to a lot of the pros, like [inaugural Big One For One Drop Winner] Antonio Esfandiari, and there has been a good response. We have a little window and a chance to change the dynamic for recreational players in an event like this, and I think that is being accepted by all professionals. It's not a problem. Right now there is no poker tournament in the world of this magnitude that is strictly for recreational players. We're creating a niche for recreational players where we can all be comfortable playing among ourselves. It's going to create a different dynamic and permit us to build our brand for recreational players going forward. For the brand, I think this is the right decision." The inaugural Big One For One Drop event drew 48 entries and Laliberté said he is hoping to match that number this October. 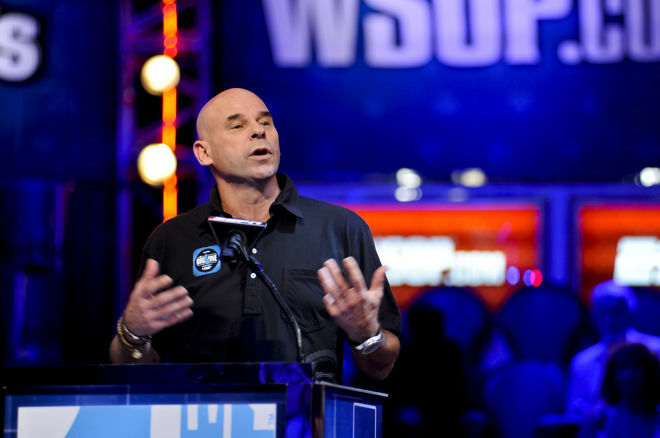 In his travels around the world, Laliberté said he often plays in relatively high-stakes cash games with affluent recreational players, everywhere from Los Angeles to New York and London to Moscow, and gets the sense and festival like this could draw anywhere from 200 to 400 players for the preliminary events and cash games as well. "This is an invitation for every person that wants to come and challenge themselves against these amazing recreational players, and to network as well," Laliberté said. "We think we can attract recreational players who will want to come with their poker buddies as a group to Monaco, mix together with other recreational players in an International networking event and play for serious recreational and business stakes. "We are targeting a field of 48 for the Big One and will have the capacity for several hundred people to join this event who are interested in using this for networking, having fun, and giving to charity. They can even play for their own charity while playing for One Drop as well." The €1,000,000 Big One for One Drop Invitational will be rake free with €111,111 from each entry going to One Drop, leaving €888,889 to go into the prize pool. The event will allow for unlimited reentry and along with the lion's share of the prize pool, the winner will receive "one of the world’s most valuable sporting trophies and a ceremonial bracelet hand-crafted in platinum by famed jeweler Richard Mille." Laliberté said One Drop raises money for projects giving people access to clean water for drinking and economic development. In the past they have partnered with private enterprises and other organizations around the world who match funds for larger projects. All of the money One Drop raises goes directly to these initiatives as Laliberte and Cirque du Soleil’s own contribution covers the administrative costs of the organization. Laliberté said he sees great benefit in using poker for networking and fund raising purposes. Plus, he loves the game and knows other affluent recreational players do as well. "I always been a risk taker and attracted to the feelings associated with taking risks as a part of the game," he said. "Coming from the streets, you learn to depend on intuition in life or death situations, and you live off reading people. Poker simulates those situations where you have to use your intuition. "It's also an amazing social environment where you can have fun with your friends, laugh and have the pleasure of beating each other in a situation that's often dramatic and sometimes funny." Having played with professionals at the highest stakes in the history of the game, Laliberté said he's pleased the community has continued to support One Drop initiatives like the 2016 WSOP $111,111 High Roller for One Drop No-Limit Hold'em playing out at the WSOP this week, and that those he's spoken with have accepted the recreational-player only nature of this latest endeavor. "We're very happy about [the turnout for $111,111 High Roller] and that a lot of pros have shown support for One Drop," he said. "We don't think anyone is really upset or feeling disrespected. Clearly not since they they are still supporting One Drop and this event. The professional poker playing community has always been a great community. I know a lot of the pros personally and I know they understand our charitable objective and they support that." With the event headed to Monte Carlo this fall, Prince Albert II of Monaco is showing his support as well. "I am pleased that Monaco has been chosen to host the 2016 edition of The Big One for One Drop, one of the most innovative charity events," Prince Albert II said. "After only two editions, The Big One for One Drop has raised more than $10 million for water, a cause that I hold particularly dear. I wish an even greater success to the third edition of The Big One." As a mecca for high-stakes gaming, the Casino de Monte-Carlo was the obvious choice for such an event and the organization is pleased to be welcoming One Drop. "The Casino de Monte-Carlo is thrilled and delighted to welcome the Big One for One Drop Invitational event and to take an active part in the organization of this new international poker initiative," said Pascal Camia, Executive Vice President, Casinos of Monaco. "This outstanding tournament contributes in positioning Monaco as a global and attractive destination for gaming." Caesars Interactive Entertainment and the WSOP is also helping organize the event. "Poker tournaments have already made a name for themselves as some of the most successful charitable initiatives in the world, and the special Monte-Carlo One Drop event promises to reach new heights," said Mitch Garber, Chief Executive Officer at Caesars Interactive Entertainment. "Monaco and Casino de Monte-Carlo are the perfect backdrop and partners for this event, and I would like to personally thank the Principality and H.S.H. Prince Albert II of Monaco for his personal interest and support of the cause and ensuring a memorable week." For more information regarding the One Drop Foundation, please click here. Ready to turn $33 in to $1,000,000 playing daily fantasy golf? Allow FantasyWired to help you draft your team for the golf's third major.